The following text is a transcription by Vanessa Neubauer of a speech by William Luther Pierce delivered at the National Alliance offices in Arlington, Virginia, in 1977. This particular pamphlet, The Path , is the first in the series because it’s the most fundamental. It states in very concise form, and also, I hope, in relatively easy to understand form, the essence of our truth, the essence of the idea on which our community is founded. It doesn’t state, however, a great many very important things – namely, everything which is implied by our Cosmotheist truth, everything which can be derived from it. It says essentially nothing, for example, about ethics, about race, and about many other things, some of which we have talked about in our earlier meetings here. And the reason that it says nothing about these things is simply that it would have taken a book ten times the length of this pamphlet to say them, and we couldn’t have had that book ready tonight, perhaps not even by this time next year. We eventually will have a book, but first we’ll have a series of pamphlets dealing with ethics, and with race, and with everything else of importance to us – and this is the beginning. Now, in choosing to commit our Cosmotheist doctrine to writing in this step-by-step way, which is the only practical way for us at this time, we make some difficulties for ourselves, and we leave ourselves open to some dangers – and I’ll talk about those in just a minute. But there’s at least one advantage to this way, in addition to the strictly practical one of not having to wait forever to have at least something down on paper. That advantage lies in stressing to ourselves – and to those we come in contact with – what’s fundamental and what’s derived. This work is first because it’s fundamental. It’s the source; it’s the essence from which everything else will grow. So having this first will, I hope, help us all to avoid the error of putting the cart before the horse – of attaching more importance, more significance, to derived things than to fundamentals. It should remind us, and it should remind others, that Cosmotheists are not people primarily – and I stress the word primarily – interested in promoting certain racial goals, or certain social or political or economic goals. We are people primarily concerned with fulfilling our mission as the bearers of the Creator’s purpose, as agents of the universal will. That comes first. Everything else – race, politics, culture, economics – is a means to that single end. The reason I emphasize that tonight, the reason I’ve emphasized it many times before, is that it’s easy to slip into error in this regard. We want to always make sure that one of the distinguishing features between us and others who pursue similar racial or political or social policies is that we don’t put the cart before the horse. Everyone else almost certainly will. But we alone are working for ultimate things, for eternal things, for infinite things – and we must never forget that. Now, having noted that, we should also understand that we will have difficulty in using this pamphlet by itself in carrying out our work. The truth in it is in too concentrated a form for most people to get their minds around it very easily. They need the derivations, they need the secondary things, the specific examples and illustrations which follow from this truth, in order to begin to comprehend its meaning fully. I know that that will be the case with most ordinary people, even though I took pains to state things clearly and carefully in this pamphlet. So we’ll have to put up with some difficulties and do the best we can until we have actually produced some of those other pamphlets dealing with ethics and race and so on. Now, beyond this difficulty, there are some real dangers inherent in the generality of our truth as expressed here. Those are the dangers of misinterpretation, of drawing false implications either accidentally or deliberately. Let me give you a couple of trivial examples. 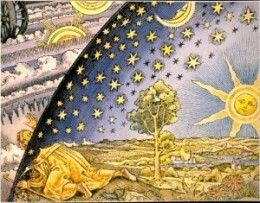 The Path  states: “Nothing in the universe exists entirely independently and of itself. Everything is a part of the Whole.” Therefore, some will reason, Whites and Blacks are brothers and we should ignore the superficial difference of race. Another example from The Path : “We’re all parts of the Whole, which is the Creator. Our destiny is Godhood.” Therefore, it will be said, all human life is sacred, as a part of the Creator. We mustn’t hurt or kill anyone. That is, we must be pacifists and humanitarians. Well, among ourselves, we hardly need to go to the trouble to refute these transparent errors. We hardly need to point out in the first example that in a certain sense we are indeed brothers to the Blacks – but in the same sense we are brothers to rattlesnakes, to sea urchins, and to crabgrass, and even to every stone and lump of dirt. We’re all parts of the Whole – but we don’t ignore the differences between the parts. Those differences are as essential a part of the one Reality as is the unity of all things; because it’s a dynamic reality, an evolving reality. In the second example, everything is indeed a part of the Creator and therefore partakes in the Creator’s divine nature – in the same way that every wart or pimple or blackhead on our bodies is a part of us and partakes in our nature. In that narrow sense, everything is sacred in itself. But the overriding importance lies in the particular role a thing plays. It lies in the particular way in which the thing serves the Creator’s purpose. And the fact is that not all things which are parts of the Creator serve that purpose, any more than our warts serve ours. This is a big topic in itself; we could talk a lot more about these two errors and we could think of a lot more examples of the way in which our truth might be misinterpreted. But I just wanted to illustrate the general nature of the problem that we face, which is inherent in the inadequacy of human language itself. We can certainly refine and improve the way in which our truth is stated, but we cannot ever entirely eliminate the danger of misinterpretation. If we were the only ones involved, that would be one thing – but we are not the only ones involved in interpreting our truth. There are many others involved. That has both its good and its bad aspects. Many others are involved because Cosmotheism is an idea whose time has come. I told you before in earlier meetings that we can find partial expressions of Cosmotheism among the writings of the ancients, 25 centuries ago. A great many of the Greek and Roman philosophers understood parts of our truth. The same was true of the pagan philosophers of northern Europe – and also of certain outstanding Christian thinkers in the Middle Ages, despite the fundamental contradictions of Cosmotheism with the teachings of the Church. Then in the 18th and 19th centuries there was an enormous outpouring of Cosmotheist feeling. Cosmotheism, or at least one aspect of Cosmotheism, was the underlying idea of the entire Romantic movement in art and literature, from Alexander Pope to Joseph Turner and William Wordsworth. And Cosmotheism is the underlying idea of 20th century science. Today, more and more thinkers, scientific thinkers in particular, are coming to understand that fact and also to give explicit expression to that understanding. I pointed out to you in earlier meetings some of the specifically Cosmotheist statements of some of the medieval thinkers and also some of the more modern philosphers: Hegel, Fichte, and others. The more one looks into the matter, the clearer becomes this Cosmotheist thread running through the spiritual and intellectual history of our race. Hundreds of other Cosmotheist expressions by prominent men during just the last few decades can be found. There can be no doubt that our people down through the ages have been groping for the Cosmotheist truth – and today, more than ever, they are finding it. Tomorrow, it will be the dominant idea in the world. Now it’s possible to understand just why this is our moment in history – just why the Cosmotheist trickle over the last 2500 years should have become a flood today. I don’t want to spend a lot of time on this tonight, but I will just point out a confluence of things which has led to this flood. Perhaps we can talk about them in more detail at another time. One of the things in this confluence was the reorientation of Western thought during the 19th century from an essentially static to a dynamic view of the universe. Darwin, of course, is the man who played the key role in this reorientation, though it began before him and it was not complete at the time of his death. The medieval view of the world was as a finished creation. Since Darwin, we have come to see the world as undergoing a continuous and unfinished process of creation, of evolution. This evolutionary view of the world is only about 100 years old in terms of being generally accepted. Before that, the people who expressed Cosmotheist ideas expressed primarily their feeling of the unity of the universe, in particular of the oneness of God and man as opposed to the Church’s view. These ideas fall under the general heading of pantheism. But pantheism is only one aspect of Cosmotheism. The pantheists, at least most of them, lacked an understanding of the universe as an evolving entity and so their understanding was incomplete. Their static view of the world made it much more difficult for them to arrive at the Cosmotheist truth. Another thing in the historical confluence leading to the acceptance of Cosmotheism today has been the drastic decline in the role of the Christian church in the last hundred years. Until fairly recently, the Church dominated the intellectual life of the West. Church doctrine, which as I just mentioned is fundamentally opposed to our truth, strongly influenced the outlook of most – in fact, nearly all – thinkers, most teachers, and most writers. Today the Church directly influences only a relatively small minority of the leading thinkers. So this fundamental barrier to the acceptance of the Cosmotheist truth, a barrier which stood for more than a thousand years, has crumbled. I don’t mean, of course, that Christianity is dead, or that the Church has no more influence. Among the masses of the people, Church doctrine is still relatively powerful – but it is no longer so among the leading minds of the West. Finally, there is the inescapable fact that Cosmotheism is the outlook towards which one is led by modern science – whether one approaches the world microscopically or macroscopically, whether one is studying elementary particles or stellar evolution. And so I repeat – Cosmotheism is the wave of the future. But just as we rejoice that this is so – that there are many more people now than before who are able to understand and to accept our truth – we must also be gravely concerned because of the dangers that this brings with it. A minute ago I gave you a couple of examples of ways in which our Cosmotheist truth might be misinterpreted. We can be sure that it will be misinterpreted, both accidentally and deliberately. In fact, it is now being misinterpreted. It’s being misinterpreted accidentally – or, we might say, without malicious intent – by people who have found their way to the essence of our truth and accepted it, but who simply do not have the courage to follow that truth when it leads them into areas which have been made taboo by modern liberalism. They do not have the strength of character, the degree of independence from peer pressure, to allow themselves to draw the correct conclusions from the fundamental truth they’ve accepted when those conclusions are contrary to prevailing liberal dogma. And so they try to bend that truth, unconsciously, to yield conclusions which are socially acceptable to a degenerate and decaying society – to a society which is morally and intellectually corrupt, to a spiritually empty society. It’s worthwhile noting here the difference in the type of opposition we face from the liberal establishment today and that which pantheist philosophers faced from the Church in past centuries. The Church was opposed to pantheism and to Cosmotheism on fundamental grounds. The Christian church had men who were genuine philosophers, true intellectuals who were deeply concerned with the nature of reality and with knowing the truth. They were wrong, but they were still sincere men concerned with fundamental ideas. When Meister Eckhart was charged with heresy in the 13th century, it wasn’t because he refused to say the Mass according to the prescribed manner or because he rejected the dogma of the virgin birth or any of the other things having to do with his duties as a priest of the Church. In all those things he was strictly orthodox. His heresy lay in his deepest philosophical writings, and the church immediately spotted this deviation and jumped on him for it. Liberalism, on the other hand, is not at all concerned with truly fundamental ideas. Liberalism is not a philosophy but a disease of the soul. The true liberal is never a true intellectual because liberalism is fundamentally anti-intellectual. Liberalism consists of a collection of related tendencies, which at any particular time may be given concrete expression in a body of dogma. But liberal dogma is not derived from any fundamental philosophy which can be held up for comparison with Cosmotheism and the contradictions noted. And so we have a situation relative to liberalism today which is essentially different from the situation relative to the church in the past. A person who follows the herd in observing liberal dogma can nevertheless accept our truth with no danger that his liberal friends and co-workers will shun him or stone him. There’s no contradiction, no heresy, no social penalty –until one draws conclusions which don’t jibe with liberal dogma. And so there is, and will be, a strong social incentive for the people who are finding their way to the Cosmotheist truth to draw the wrong conclusions from it or to refuse to draw any conclusions at all. Cosmotheist truth is arrived at through the synthesis of subjective and objective knowledge, or, to use the same words that are used in The Path , through the perfect union of the Creator’s immanent consciousness in man with man’s reason. Our truth comes to us through a blending of the universal consciousness in our race-soul and our genes with our reason. Thus our way at arriving at truth is fundamentally different from the way of most major religions, which depend in a very basic way on revelation, whether through oracles or prophets or what have you. It’s also different from the purely mystical, purely subjective religions of the East which are a fad among so many lost souls in the West today, just as it is different from the pure rationalism which used to be the undisputed philosophy of science until recently. We’re not subject to the sort of problem that the revealed religions have, in which the prophets may contradict one another, or some fine morning someone may claim that he had a vision – or that an angel showed him a book written on leaves of gold – or that Jehovah appeared as a burning bush and handed him a couple of stone tablets inscribed with a new set of laws. And no Cosmotheist can get away with babbling whatever nonsense comes into his head, like the Maharaj Ji and the other yogis can, because our truth is absolute: It must agree with our observations of the universe. And, because our truth comes from the soul, it’s something toward which everyone who shares the same race-soul, the same genes, naturally gravitates. This is, as I pointed out before, is why one can find a Cosmotheist thread running through the entire length of Western spiritual history, including those periods when fundamentally opposed ideas ruled. But despite these advantages, we do have problems. We do face dangers. As I said, one danger is that of misinterpretation so as to draw socially acceptable conclusions. There’s also the danger of deliberate perversion of our truth. The Jew, after all, even with a different race-soul, is heavily involved in the intellectual and spiritual life of the West. Despite fundamental tendencies which have historically expressed themselves in an entirely different way, he is playing a role in modern science in particular. It may be generally true that the Talmud is the typical expression of the Jewish race-soul and that the Jew with intellectual pretensions is epitomized by the modern hair-splitting, haggling lawyer. Nevertheless, some Jews have seen the Cosmotheist truth underlying modern science, and they are quite clever and quite energetic enough to try to establish for themselves a dominant position in giving expression to this truth – and in interpreting it for everyone else, so that they can blunt the danger it poses to them, and so they can turn it aside and guide it into safe channels. It would be quite naïve of us to say that Cosmotheism is our truth, not theirs, and that we have a natural advantage in interpreting it and that it would be as unnatural and awkward for a Jew to try to set himself up as a Cosmotheist as it would be for a White man to set himself up as a Talmudist and try to debate the rabbis on points of Talmudic doctrine. After all, a Jew, Baruch Spinoza, was one of the foremost expounders of pantheism in the 17th century, at a time when that was hardly a safe or a popular position for anyone to take. He was, in fact, excommunicated by his fellow Jews as a consequence. But because Spinoza was a Jew, he couldn’t help but give a Jewish flavor, a Jewish interpretation, to his pantheism. In particular, the ethical conclusions that he drew from his pantheism were strictly Jewish, and I think it’s only fair to assume that Spinoza had no ulterior motive. We are in a rather different era today and ulterior motives abound. The danger exists and it’s a very great danger, but there is a way to overcome it – just one way. That way is to give concrete form to our truth, to spell it out not only in its generality, as in The Path , but also in all its particulars – and then to embody those particulars: the ethics, the racial policy, the social policy, and all the rest in a living, growing community of consciousness and blood. That’s what we must do, and that’s what we’re beginning to do now.